A subcontractor is any individual or business that is hired to work for a general contractor. The general contractor is the first individual or business hired to work on some project. Subcontractors come into the picture when the original contractor needs help in some or all tasks in the contract. 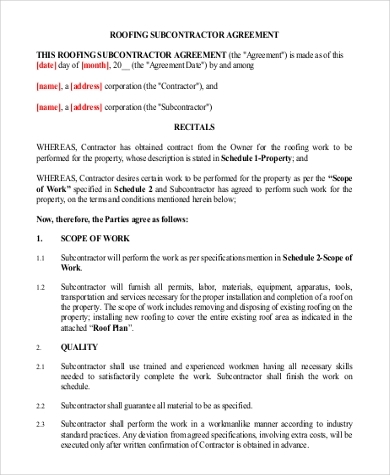 It is important to note that subcontractors are answerable to the original contractor only, since they have not signed a contract with the contractor’s employer. If you are a contractor, you may find yourself in need of extra help at some point. 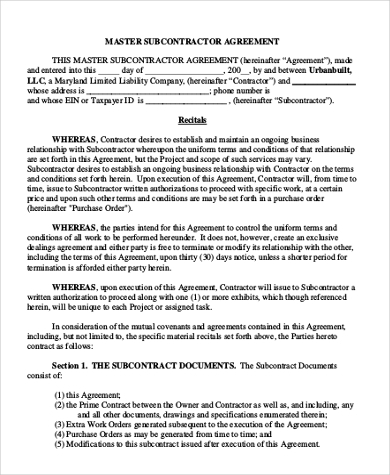 These Sample Agreement Forms for contractor-subcontractor contracts should help you get started right away. 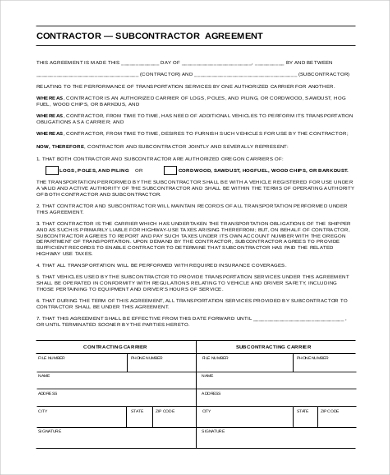 Why Do I Need a Subcontractor Form? 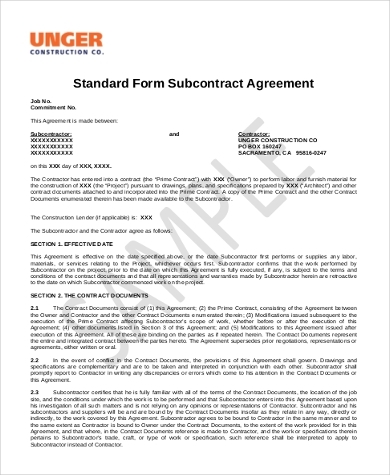 If you have been hired as the main contractor (also called the general contractor or prime contractor), or if you have hired one yourself, you will be familiar with Sample Contractor Forms. These are different from an employer-employee contract in that the tax liabilities of the contractor’s employer will be different. An independent contractor is responsible for its own taxes and bookkeeping. 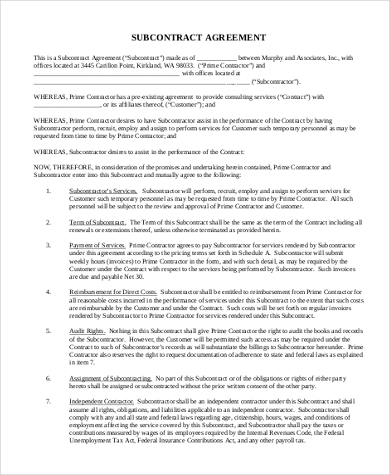 Similarly, a contractor taking on another contractor will need a subcontractor form to properly define similar terms, since the two contractors are still independent. Without such a form, you might be obligated to take on more liabilities than you thought you signed up for. 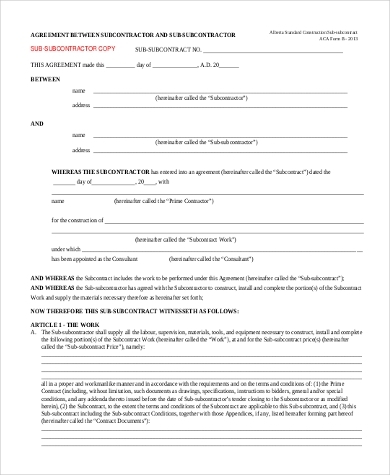 The terms of a subcontractor form should seem familiar to many Sample Contract Agreement Forms you can find and download on SampleForms.com. How Do I Use These Sample Forms? 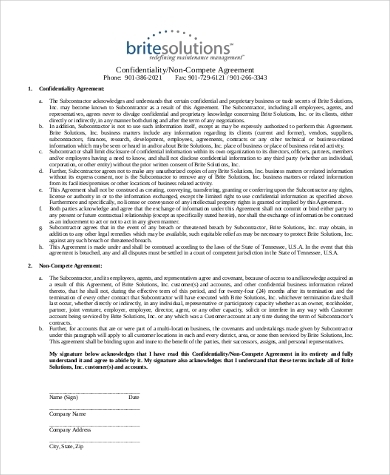 You can use these subcontractor forms and any of our Sample Contractor Contract Forms primarily as reference. They are all available to download for free as either PDF files or Word documents, so you don’t have to draft one from scratch. Often the best guidelines are not blank templates but complete and real-life samples used by actual businesses. 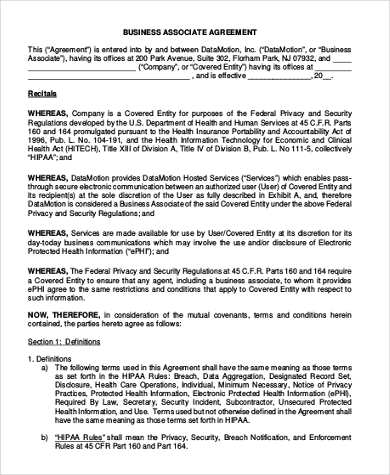 A lot of these forms are provided as samples, using hypothetical companies and indicators for details. This way you can easily modify them for your needs. Make the most of these free resources. 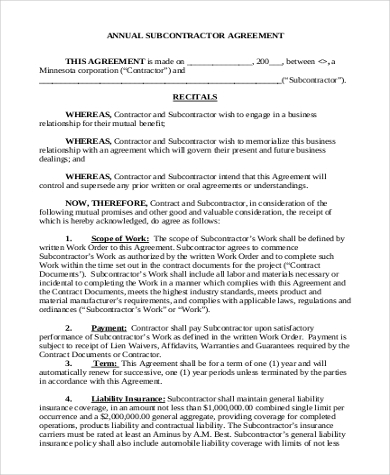 If you routinely use a subcontractor for projects you take on annually, the Annual Subcontractor Agreement Form should be closer to your needs. 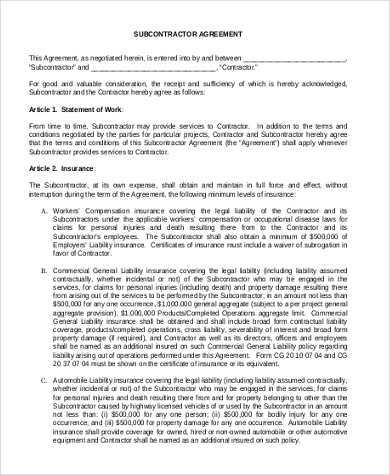 The Subcontractor Non Compete Agreement Form should be useful if you work in a competitive field such as IT or construction. A non-compete contract holds your subcontractor from working for your rival prime contractors using any knowledge gained under your employ. The rest of the samples provide forms for general contractor-subcontractor situations.